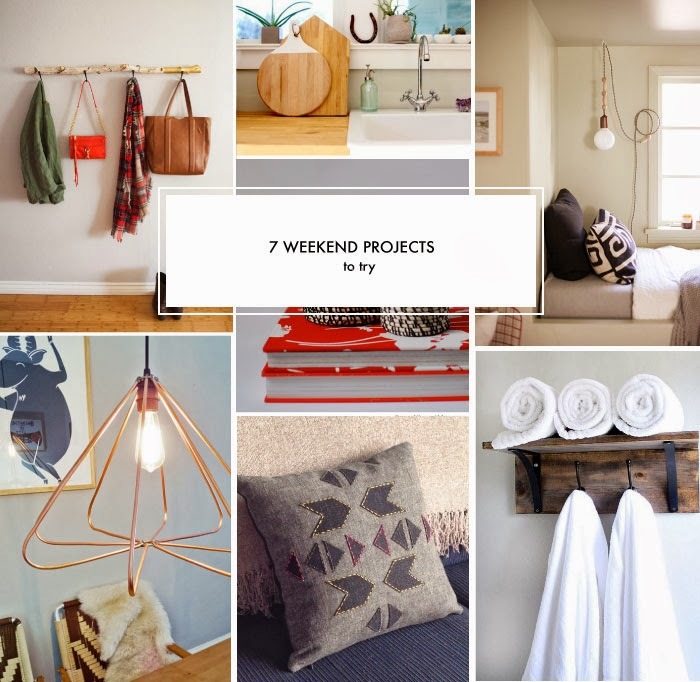 I'll be working offline for the rest of the week to work on our new lookbook, so here is a few weekend projects to be inspired by. 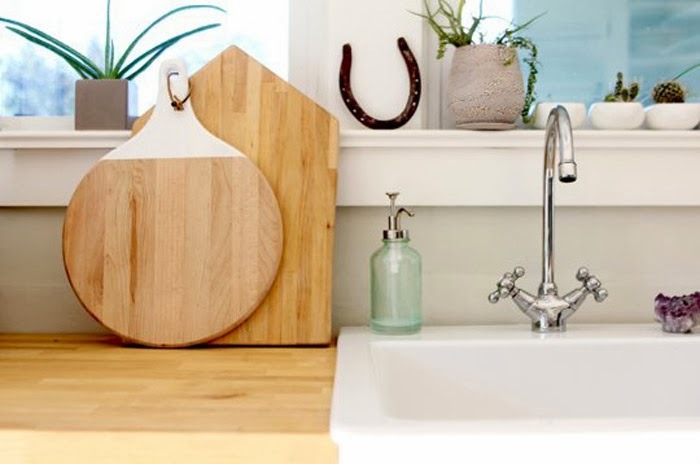 I've been wanting to make a driftwood coat hanger for a long time, and I came across a good example this week, along with a few other gems (check them out below). Have a great weekend! 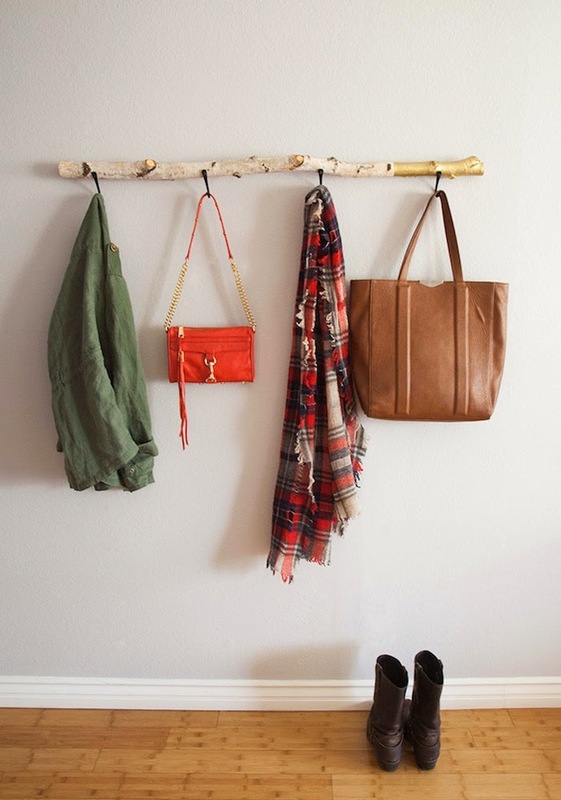 Make a coat hanger out of a piece of found driftwood or tree branch. From The Effortless Chic. 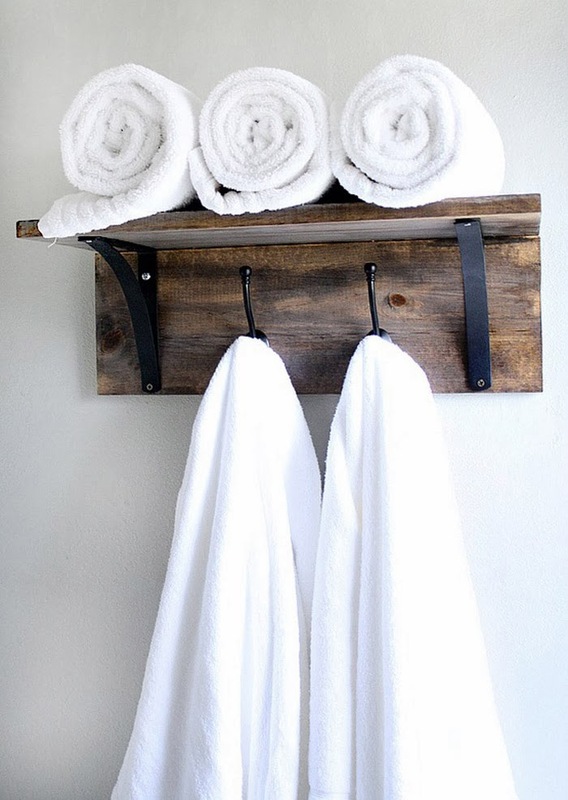 Make a towel rack for the bathroom with two planks of wood. From Design Dining Diapers. 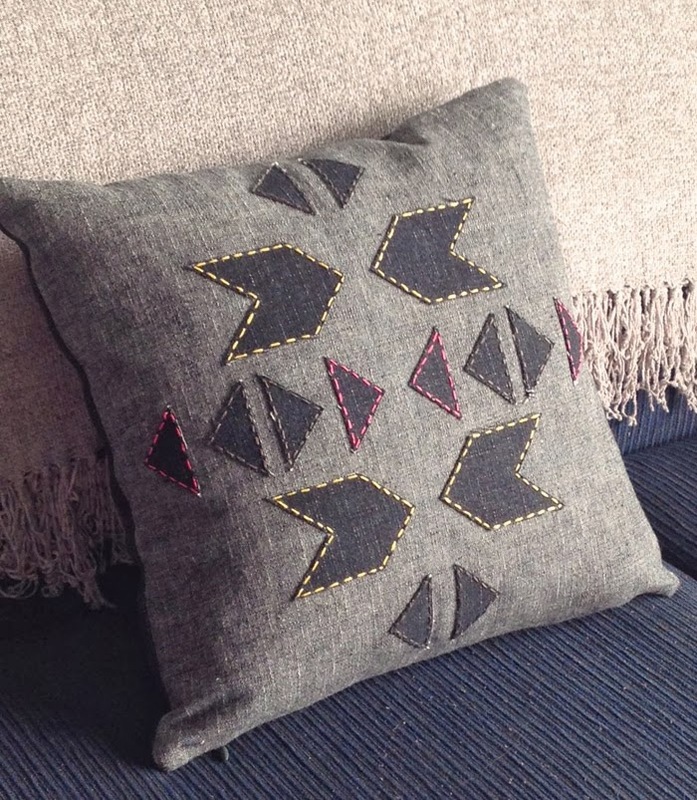 Make a cushion out of scrap pieces of fabric. From Sarita Creative. 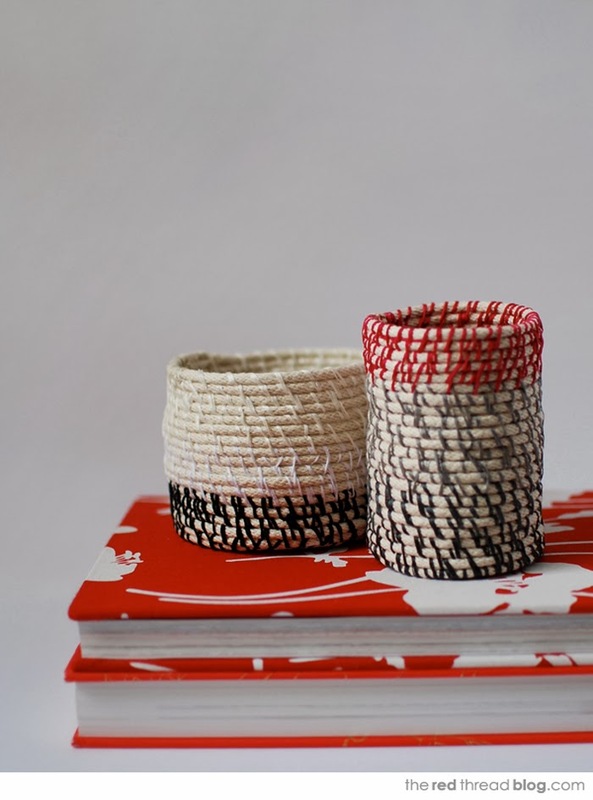 Make these vessels and bowls using rope and embroidery floss. From The Red Thread Blog. 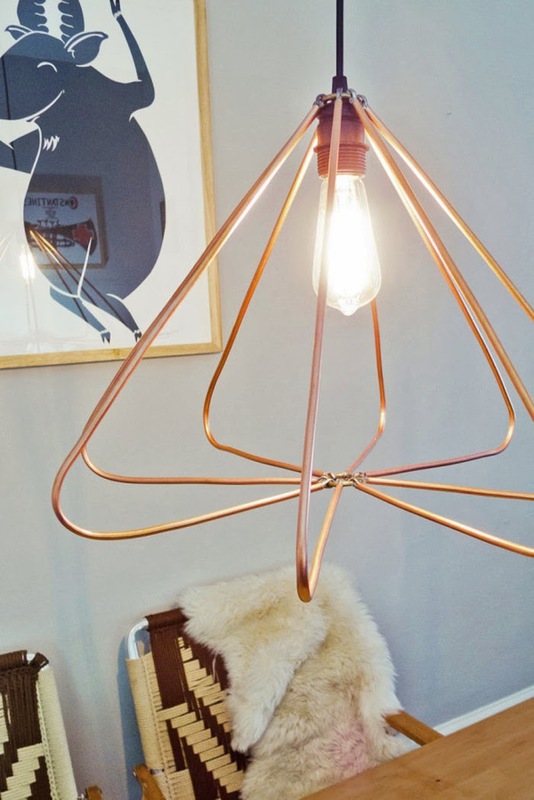 Make a modern pendant using copper tubing. From Design Milk. 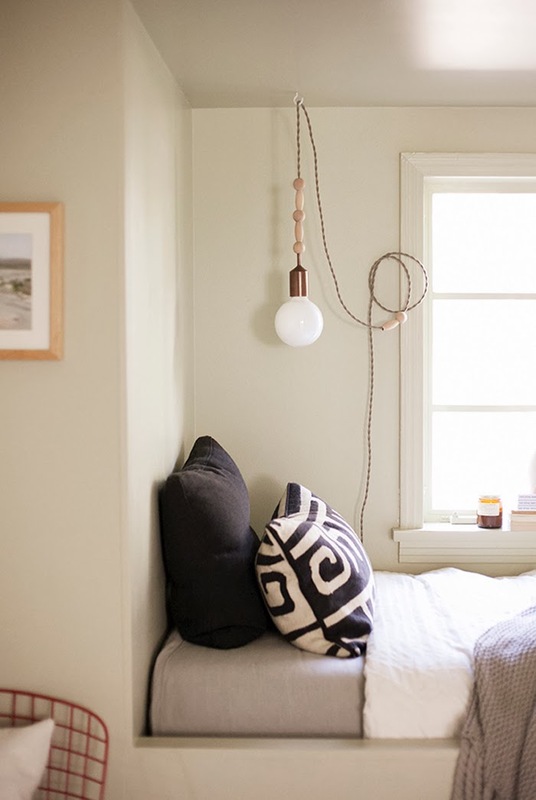 Spiffy up a pendant light with a few wooden beads. From Camilla Styles.